At first, Josie agrees. But as Annette pushes her further and further away, Josie grows closer to Penn, a boy whose friendship and romantic feelings for her tangle her already-unraveling relationship. When Annette's need for approval sets her on a devastating course for self-destruction, Josie isn't sure she can save her this time-or if Annette even wants her to try. 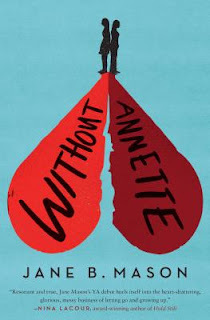 Add your review of "Without Annette" in comments!